Welcome to Cruickshank Remodeling! We are a boutique firm dedicated to bringing exceptional quality and service to a select group of homeowners in the Atlanta area. We listen to our clients' goals and desires, analyze their existing space and then transform their home and lifestyle. Our style is your style. While Design/Build remodeling is our specialty, our award-winning staff also has extensive experience working with existing plans supplied from other designers. And as a full-service remodeler, our staff is adept at maintenance, repairs and specialty projects. Our goal is to skillfully guide your project, whatever it is, through the construction process until the last tool is packed away. 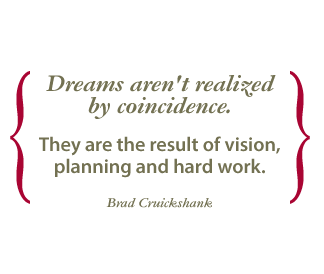 Having been trained as an artist, an architect, and as an engineer, founder Brad Cruickshank has spent over 30 years developing Cruickshank Remodeling's business system. We call the results "Cruickshank Care" and there are few who can provide the same distinctive, high level of home remodeling services in the Atlanta area. We encourage you to study our website and learn what we're all about. Sign up to receive our latest news delivered straight to your inbox! Is your home a signature expression of you and your lifestyle? Does your home have unique aesthetic or historic characteristics? Is it important for your home to function harmoniously with its environment? Do you have specific needs that need to be incorporated into the design of your home? If the answer is "yes" to any of these questions, then you have may have found the remodeling company you've been looking for. See About You to find out if we are a good match.